Lots of preachers are misinformed about Mark 16:9-20, and Josh Buice is one of them. 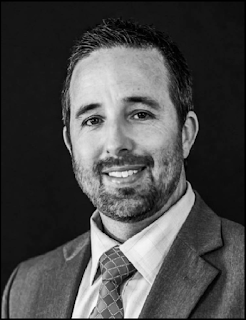 In 2016 when he announced to the congregation of Pray’s Mill Baptist Church that he was going to end his sermon-series on Mark at 16:8, he helpfully explained why he was doing so. Here are his reasons, and my responses. Buice appears to be partly underinformed and partly misinformed. The first thing to notice about the evidence he describes is that Vaticanus and Sinaiticus are from the 300’s. They are the oldest two Greek manuscripts of Mark 16, but they are both younger than the testimony of Justin, Tatian, the unknown author of Epistula Apostolorum, and Irenaeus, from the 100’s – all of whom utilized the contents of Mark 16:9-20 in one way or another. Also, Codex Vaticanus’ copyist left a distinct blank space after Mark 16:8, indicating his awareness of the absent verses. And in Codex Sinaiticus, there are other anomalous features at this point; the four-page parchment sheet containing Mark 14:54-Luke 1:76 was not made by the main copyist. As for Buice’s claim about the Latin and Syriac (not Syrian) manuscripts, it is false. No undamaged Latin manuscript of Mark end the text at 16:8. And only one Syriac manuscript ends the text at 16:8. Lots of Armenian manuscripts (all medieval) end the text there (although even more include the passage), and since the Old Georgian version was translated from Armenian, two Old Georgian manuscripts also do so. But none of those manuscripts are remotely close to the time of Eznik of Golb, an Armenian scholar in the 400’s who used Mark 16:17-18 in his writings. The manuscripts used by Justin, Tatian, the unknown author of Epistula Apostolorum, and by Irenaeus were much older than the two manuscripts from the 300’s (Vaticanus and Sinaiticus) to which Josh refers. Furthermore, why focus on those two old copies and not mention the other ancient manuscripts of Mark that support the inclusion of 16:9-20: Codex Alexandrinus, Codex Ephrem Rescriptus, Codex Bezae, Codex Washingtoniensis, and all the other uncial manuscripts of Mark? Over 99% of the Greek manuscripts support the passage, and they did not spring from the ground; they had ancestor-manuscripts, and it is remiss to ignore – to hide – their testimony from the man in the pew, particularly if one is going to promote the idea (as Buice does) that the more manuscripts one has, the better the text is preserved. This all sounds good until one notices that Mark uses 20 words in 15:40-16:4 (12 verses) that are not found anywhere else in the Gospel of Mark. Then Buice’s vocabulary-based argument is exposed as a hollow shell that is only persuasive when used on listeners who are uninformed about the evidence. Except (a) calling it a “fact” in the course of the argument is loaded language, and (b) if the use of 14 new words in Mark 16:9-20 “points to the fact” that Mark didn’t write those verses, then the use of 20 new words in Mark 15:40-16:4 “points to the fact” that Mark didn’t write those 12 verses either. 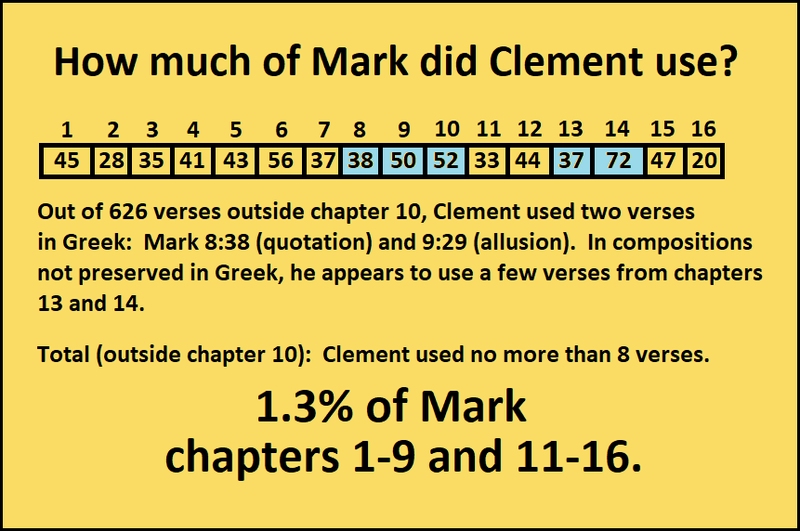 The real facts that Buice needs to fathom are that (a) in a relatively brief work such as the Gospel of Mark, every 12-verse segment is likely to have some unique vocabulary, and (b) if Buice were to apply his vocabulary-based approach to other parts of Mark (and to other parts of the New Testament), he would draw them into question too. Buice thus put his ignorance of patristic writers on display. Besides the four second-century writers already mentioned – Justin, Tatian, the unknown author of Epistula Apostolorum, and Irenaeus – there are numerous early authors, preachers, and scholars who demonstrate their awareness and acceptance of Mark 16:9-20. These individuals include the author of De rebaptismate (258), the pagan author Hierocles (305), Eusebius of Caesarea (325), Eusebius’ contemporary Marinus, Aphrahat the Syrian (337), the unknown author of Acts of Pilate (300’s), Ambrose of Milan (380’s), Ephrem the Syrian (360’s), Apostolic Constitutions (380), Augustine (late 300’s/early 400’s), Greek manuscripts mentioned by Augustine, Epiphanius of Salamis (late 300s), Patrick, the creators of various forms of the Old Latin chapter-summaries, Jerome, Macarius Magnes, Prosper of Aquitaine, Marius Mercator, Marcus Eremita, Nestorius (as cited by Cyril of Alexandria), Peter Chrysologus, Severus of Antioch, Leontius of Jerusalem, the unknown author of The History of John the Son of Zebedee, and the unknown author of the Coptic composition The Enthronement of the Archangel Michael. But Buice assures us that “Clement of Alexandria and Origen both show no evidence in their writing that they embraced a longer ending of Mark.” This is nothing but a repetition of the claim passed down from Bruce Metzger’s Textual Commentary on the Greek New Testament: “Clement of Alexandria and Origen show no knowledge of the existence of these verses.” This appeal to Clement is laughable, inasmuch as he scarcely used any of the Gospel of Mark except chapter 10. 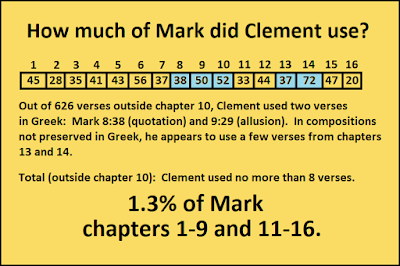 Everything in Clement’s writing points to the absence of 16:9-20 as much as everything in Clement’s writing point to the absence of the first seven entire chapters of Mark. Buice (like many others) has preposterously misrepresented the evidence from Clement. If someone were to pass a law against misrepresenting Eusebius’ statements about Mark 16:9-20, Buice and many other commentators would be imprisoned. The first thing that should be realized is that Eusebius, writing in the early 300’s following the Diocletian persecution, had no way to survey all manuscripts everywhere; his references to quantities of manuscripts refers to what could be compared in particular places. The second thing that should be realized is that when one looks at Eusebius’ main comments about Mark 16:9-20 in the composition Ad Marinum, he addressed how to harmonize Matthew 28:1-2 and Mark 16:9 and offered two explanations: one way is to reject the passage on the grounds that it is not in all the manuscripts, or not in the accurate ones, or seldom in any of them – and the other way is to accept the passage and punctuate the opening sentence. And what option did Eusebius recommend that Marinus take? The second one. Eusebius went into verbose detail about how to pronounce Mark 16:9 to resolve the perceived discrepancy with Matthew 28. He frames the description of manuscripts as something that could be said by someone who rejects the passage, but he does not regard this as some sort of definitive statement, or else he would not have proceeded to tell Marinus how the passages can be harmonized. Eusebius also cited Mark 16:9 twice elsewhere in the same composition. Again Buice exposes the shallowness of his research. For it is obvious that Jerome accepted the passage (he included 16:9-20 in the Vulgate and referred to Mark 16:14 in Against the Pelagians 2:14). In the composition upon which Buice depends (Ad Hedibiam, Epistle 120), Jerome was abridging and loosely translating into Latin the contents of Eusebius’ earlier composition to Marinus. Jerome, in the course of answering a broad question about Jesus’ resurrection-appearances, recycled the work of Eusebius, and even included three of the questions that Marinus had asked Eusebius, in the same order. The statement of Jerome to which Buice refers is essentially Eusebius’ statement, put into Latin by Jerome. D. C. Parker has written, “Jerome’s work is simply a translation with some slight changes of what Eusebius had written” (Living Text of the Gospels, p. 135). At this point Buice is just making stuff up, all while failing to inform his congregation about the evidence from the 100’s – the earliest patristic evidence we have – that favors the inclusion of Mark 16:9-20. That statement is manifestly false. The many utilizations of Mark 16:9-20 by the authors I have already listed, both before the Council of Nicea and afterwards, demonstrate that Buice’s claim is detached from reality. Buice sees “troubling doctrines” and in Mark 16:9-20 and uses this as part of his basis for rejecting the passage. This is a problematic approach, not only because it is not scientific, but because it is inconsistent. If textual variants can be validly selected according to how well they correspond to one’s doctrine, then why does the ESV, made by people who subscribe to the doctrine of inerrancy, say that Jesus was descended from Asaph and Amos, or that Isaiah wrote Malachi 3:1? Let’s just select the more doctrinally palatable variant and such things can be efficiently resolved! If such an approach is not valid in those cases then it Is not valid regarding Mark 16:9-20 either. I submit that what Buice sees as “strange doctrines” emanate from interpreters, and not from the text itself. For the inclusion of Mark 16:9-20 is supported not only in 99% of the Greek manuscripts of Mark, and in 99.9% of the Latin manuscripts of Mark, and 99% of the Syriac manuscripts of Mark, but it is also in the Greek lectionaries; yet the Greek and Latin and Syriac churches have somehow avoided advocating snake-handling and poison-drinking and sensationalistic faith-healers. Martin Luther likewise fully accepted Mark 16:9-20 (as did the formulators of the Westminster Confession of Faith) and yet he is not known for snake-handling. As for “baptismal regeneration” – as if this passage says more about baptism than the New Testament teaches about confession – perhaps Buice should consider whether he is teaching correctly about the purpose of baptism in the New Testament, and ask himself and his fellow Baptists whether the baptisms described in the book of Acts were intrinsically public. But in any case it is surely a bad methodology to base one’s text on one’s doctrine, and not the other way around. If Buice considers the content of Mark 16:17-18 as indicative that the passage is spurious, what is he going to do with the broader declarations in Luke 19:10 and Matthew 17:20 and Mark 11:24-25? Should we invent a bad interpretation and use that as a reason to reject these passages (the way Buice approaches Mark 16:9-20)? No passage is safe from such an approach. It should first be noted that Buice’s example is unfair to Homer; Homer is one author; the New Testament includes works by several authors, and different parts of the New Testament are represented by very different quantities of manuscripts. But a larger point overshadows Buice’s whole argument: if it is granted that the more manuscripts we have, the better the text is preserved, then Mark 16:9-20 should be accepted without a second thought, because these verses are supported in over 99% of the Greek manuscripts of the Gospels, and in the Greek lectionaries. There can be no doubt (unless one has been a victim of sad misrepresentations of the facts of history like the one offered by Buice) that Mark 16:9-20 is part of the text that has been handed down in the churches from generation to generation, century after century, wherever the Greek text has been copied. The mountain of evidence rests on the side of Mark 16:9-20. James, what's final Bruce citation from? James - Thanks for sharing your thoughts. I responded on FB. I find this article lacking. Mr. Snapp, you claim Epistula Apostolorum draws on Mark 16:9 as a source for its resurrection account. But if you read it you see that it’s an amalgamation of gMatt, gLuke, & gJohn - basically a re-write of the entire episode. Hardly the truncated Mark ending.